Hot 100 issue of T3 magazine is out now! It’s that time again! The annual T3 Hot 100 is here, and we’ll be revealing the best new tech, cutting-edge kit and more! You can get the issue here, or see our latest subscription offers here. You can even get it FREE with a trial of our iOS and Android app editions! What would be your tech development of the year? Or your favourite gadget? Or what about the one person that’s done the most to revolutionise the industry? 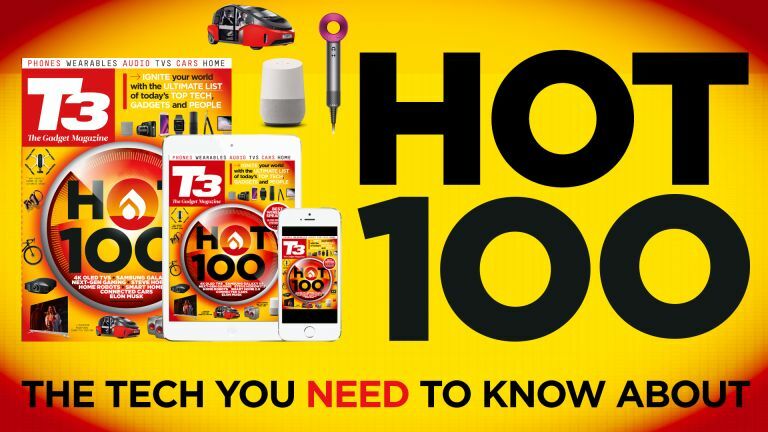 The Hot 100 covers all the bases – we’ve left no stone unturned, getting opinion from some of the industry’s finest tech luminaries, commentators and journalists. These are the tech, gadgets and people that have rocked our world over the last 12 months. Elsewhere this issue, we’ve reviewed the best multi-room audio systems in our State of the Art group test, and in Man vs Tech we discover what kit it takes to throw the ultimate house party. We’ve also got the rather intriguing Navdy – a plug-in HUD that’s compatible with pretty much any car. Want to turn your old banger into a car of the future? Look no further… Though if you’re looking for another type of transport, we also round-up the best small electric commuter vehicles, from electric scooters to mechanized skateboards and a mini Segway.